In Judaism, Kosher foods are foods that adhere to the law of Kashrut. These laws are in accordance with the Torah and must be followed throughout the year. The rules are quite strict. Forbidden foods must be avoided, as well as avoiding eating off something that may contain residue of the food. 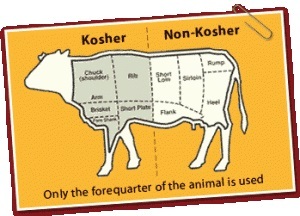 Jews are forbidden from eating any products from an animal with cloven hooves. There are many more rules as well, including regulations for eating birds and fish. 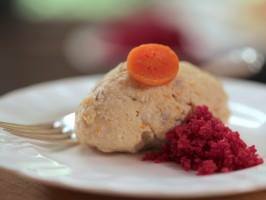 Gefilte Fish is a traditional Jewish dish, in which the meat is removed, mixed with spices, and then reinserted before being cooked. In the Torah, the three blessings are for the creation of fish, man, and the Shabbat. Additionally, the Hebrew word for fish, dag, has a numerical value of seven, and Shabbat is the seventh day of the week. Therefore, it is a holy experience for Jews to eat fish on the Shabbat. 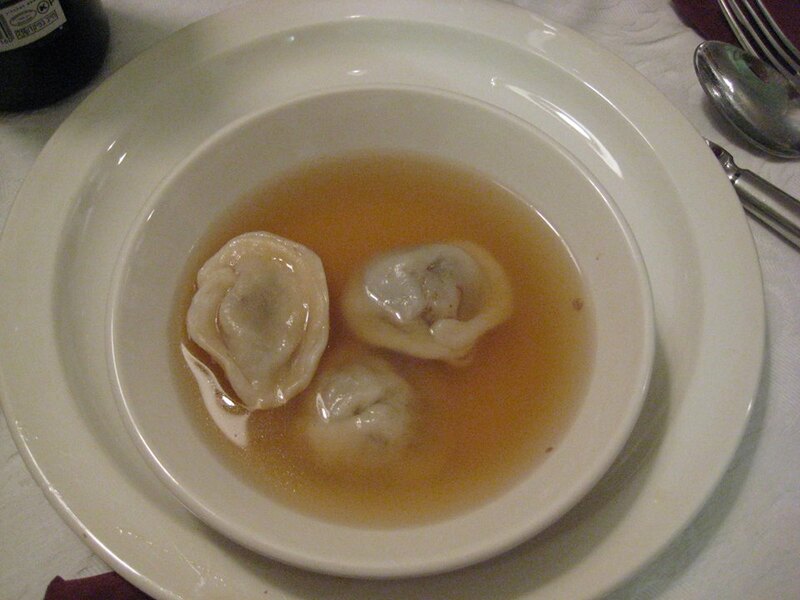 Kreplach is a very popular dish for the Jewish community, particularly for Ashkenazi Jews. The formation of the word is rather interesting. The first part of the word, “Krep”, is derived from the initials of popular festivals including Kippur, Rabba, and Purim. The term “lach” translates to “little” in Yiddish. Kreplach are dumplings that are typically filled with meat and mashed potatoes. They may either be fried or boiled and are often served with soup. For Ashkenazi Jews, they are significant because they are served for holidays including Rosh Hashanah, Hoshana Rabbah, and are pre fasting food for Yom Kippur. There are also vegetarian kreplach that are distributed during Purim. 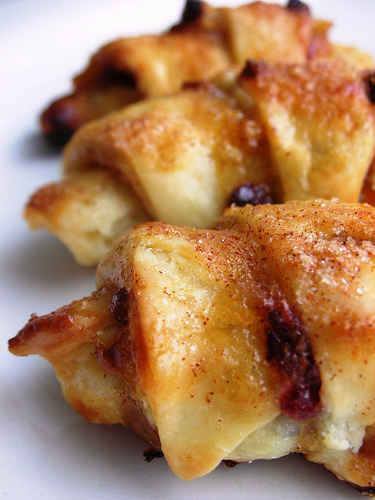 Rugelach is a Jewish pastry that can be baked for multiple holidays/occasions and is found in many bakeries. They almost look like croissants or donuts. It comes from an Ashkenazic origin and the Yiddish word “rugel”, which means royal. Most of the time, the dough is yeast-based, but sometimes it is made with butter, sour cream, or cream cheese dough. It’s a light and flaky pastry with a filling. Usually, the filling is made of nuts. Now the filling can be anything, for example, chocolate, cinnamon, or raspberry jam. One recipe makes about 25 rugelachs. Challah is a loaf of bread that is traditionally eaten by Jews on Shabbat, ceremonial occasions, and during holidays. 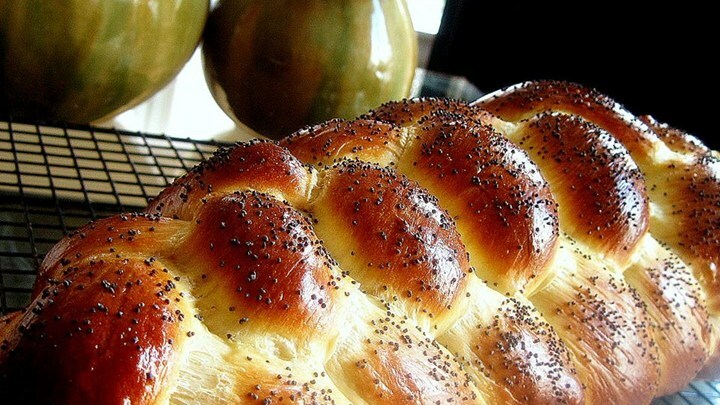 Challah is typically yeast-risen egg bread and is often braided, but can be in many shapes. The term “challah” refers to a small piece of dough that is traditionally separated from the rest of the dough before baking. This piece of dough is separated in memory of the portion of dough that was set aside as a tax for the Jewish priests in biblical times. For the Sabbath, two loaves of challah are put out on the table in remembrance of the manna that was provided to the Israelites in the desert following the Exodus. The two loaves are also a reminder that God will provide for material needs. The loaves are usually covered with a decorative cloth, to symbolize the protective layers of dew the manna were covered with when they fell from the sky. A blessing known as HaMotzi is recited over the bread before it is eaten. In English it is: “Blessed are you, Lord our God, King of the universe, who brings forth bread from the earth.” Following the blessing, the challah can either be sliced or broken apart by hand. Source: Ariela Pelaia, “What Is Challah?” About Religion. Accessed October 29, 2015. http://judaism.about.com/…/jewishculture/a/whatischallah.htm. 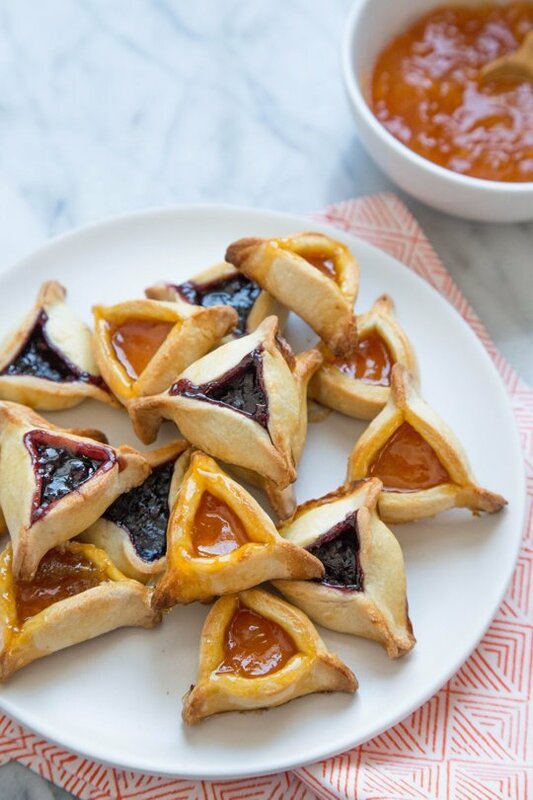 Hamantash are filled pastries/cookies eaten on Purim because they symbolize the hidden Purim miracle. The deserts are made of plain dough on the outside and hidden in the inside is a sweet filling, such as fruit jellies or poppy seeds. The Purim miracle was concealed in nature and was led by God. Haman was a man who wanted to annihilate the Jews, and the cookie is named after him. There are several beliefs as to why. One belief is that by eating the desert named after Haman, it is like destroying him. Haman was eventually weakened and hung. Another is that Mordechai sent letters to the Jews helping them, in order these letters to be sent safely he hid them in pastries. The shape of the hamantash also has meaning. The three sides represent the three patriarchs who saved the Jews on Purim. Some miracles created by God are not so obvious and do not present themselves immediately, they are hidden, like the sweet filling in a hamantash cookie. Tzimmes is a significant dish in Jewish religion. 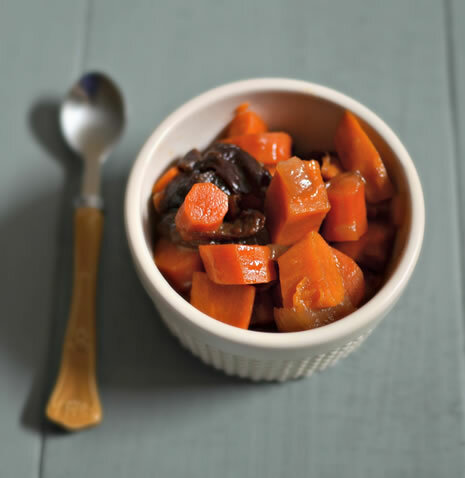 Tzimmes is a mixture of carrots and honey, depending on the maker: sweet potatoes, apricots, raisins, maple syrup, etc.., can be added. Tzimmes is basically a sweet stew. This dish can be served on a number of Jewish holidays. It is often served on Rosh Hashanah to symbolize good wishes in the year ahead. It is a Jewish custom to eat foods that alludes to blessing and prosperity. The Yiddish word for carrot is meren, which means to multiply. By eating this dish, Jewish people hope that the year to come will be full of good blessings. Pierogis are stuffed dumplings that can contain mashed potatoes, farmer’s cheese, sauerkraut, cabbage, mushrooms, spinach, ground beef, and healthy grains. Pierogis are Poland’s national dish going back all the way to their creation in the thirteenth century. There is controversy, however, as to where the pierogi actually originated from. Romanians, Russians, Lithuanians, Ukrainians, Slovaks, and even the Chinese have claimed the initiation of the pierogi but the word pierogi was first used in cookbooks and literature in Poland in the late seventeenth century. Pierogi was also prepared in a different style for certain holidays. For example, Polish families would consume a traditional sauerkraut, cabbage, and mushroom pierogi flavored dish for Christmas Eve. 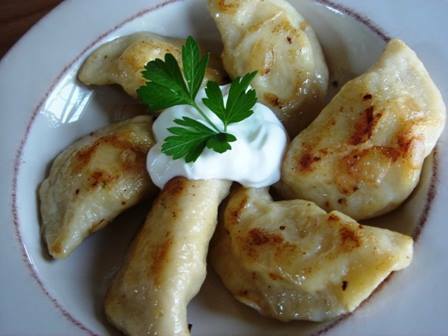 Pierogis can be prepared in a numerous amount of ways and has a following in Ukraine and for Slovaks. 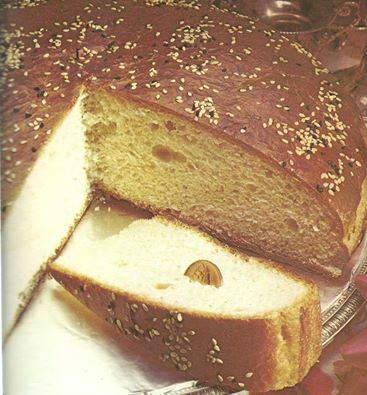 Vasilopita is a traditional bread or cake, typically consumed on New Year’s Day, in Greece and Eastern Europe. According to legend, Saint Basil pleaded to the emperor, who had levied a tax amongst the people of Caesarea, to give back the money as it led to many peasants unable to buy food. Hearing his pleas, the emperor canceled the tax, and turned over the money and jewelry to Saint Basil, who prayed to find a way to return it to their rightful owners. God then told Basil to take all of the collected treasures and bake it into a large pita, from which each person could take a piece, thus preventing them from starving and returning their belongings. Some believers still put a coin or trinket in the bread, and whoever finds it is thought to have good luck. Religion is a big part of the Romanian culture and this is often reflected in traditional holiday meals. 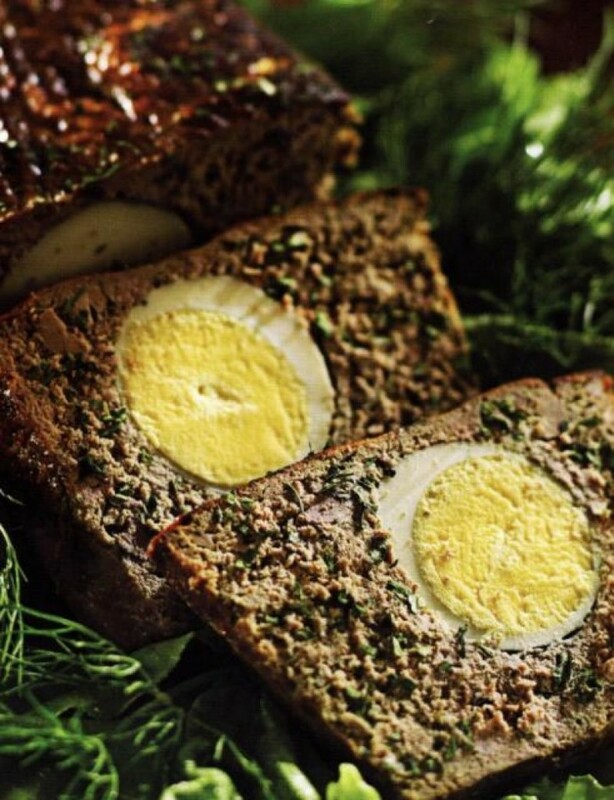 Drob de Miel is a traditional Romanian dish served on Easter, made of minced lamb’s offal wrapped in caul (a the thin membrane which surrounds the stomach internal organs of some animals, such as sheep) and roasted like a meatloaf. In the New Testament, the sacrifice of the lamb symbolizes Jesus’s sacrifice for humankind and the passage from life to death. In honor of this tradition, several meals are cooked from lamb on Easter. Some base their whole Easter menu on lamb. Mucenici is a celebration in Romania and Moldova that coincides with the start of the agricultural year on March 9th. In the early fourth century, the Roman Emperor Lincius persecuted Forty Martyrs who were tortured and killed. In addition to eating this food, participants also light trash on fire outside, to bring warmth outside, as well as beat the ground to drive out the cold. 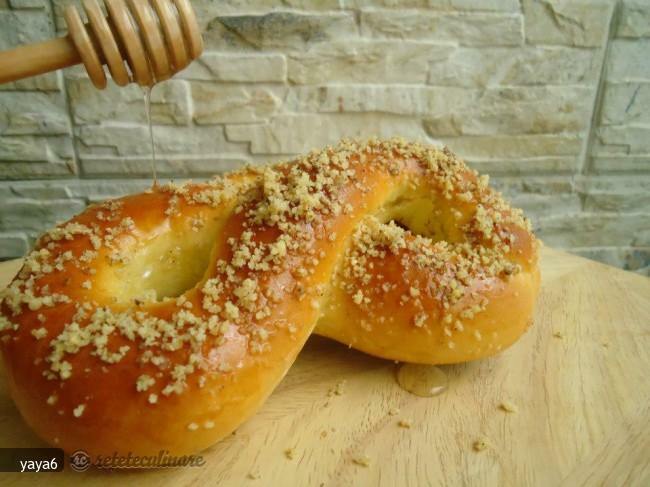 There are a few different recipes that vary by region, but all are accepted forms of mucenici. Babka is a sweet dessert bread or cake that is usually served at Easter, but is enjoyed year round in Eastern Europe and Russia. The bread is usual served as a celebration after forty days of Lent. 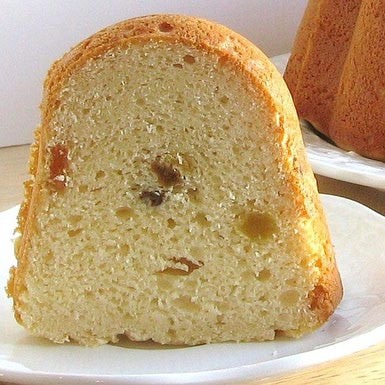 The bread is made with raisins and dry fruit that has been soaked in either rum or brandy. Though enjoyed by those of Christian faith, there are forms of Jewish Babka that have been passed down. The most commonly found Babka recipe follows a Polish style, where the bread is thought to have originated from. With Easter being such a big holiday to Eastern Orthodox believers, the Easter egg also plays a big role in the tradition of the holiday. Traditionally, Easter eggs are painted red to symbolize the blood of Christ. This is because when Mary Magdalene announced to the Roman Emperor that Jesus Christ had risen from the grave, he said to prove it, the eggs in the basket she was carrying must turn red. And it is said they did. When the eggs begin the process of being made, they are boiled at a high temperature. Once the eggs are boiled and left to cool and harden, they are dipped in a deep, red dye and then left to dry. 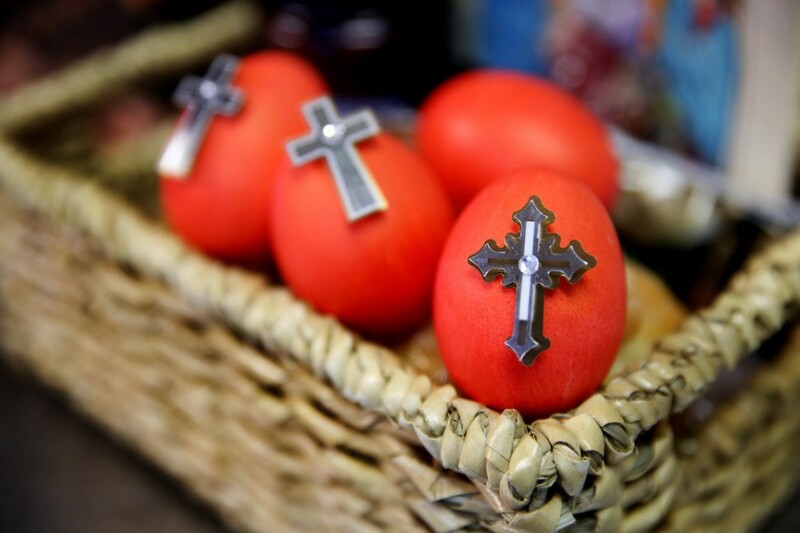 Once the eggs are complete, they are blessed and used as decoration. A few photo slides can be found below showing the process of the eggs being made. The tradition of fasting for Great Lent is a commandment passed down by the Lord and numerous saints. Intended to purify the ‘spiritual senses’ so the resurrection of Jesus on Easter can be seen. It is observed by the faithful with, all meat, fish, oils (olive oil and other vegetable oils),all dairy and eggs being excluded from the diet of the adherents. There are exceptions to this rule; the infirm and children are to follow the commandment to fast as best they can. Certain days during the Great Lent period exempt several of the food groups. Oils on the weekend, and any day there is a Polyeleo are allowed, as well as fish on Palm Sunday and the Annunciation. 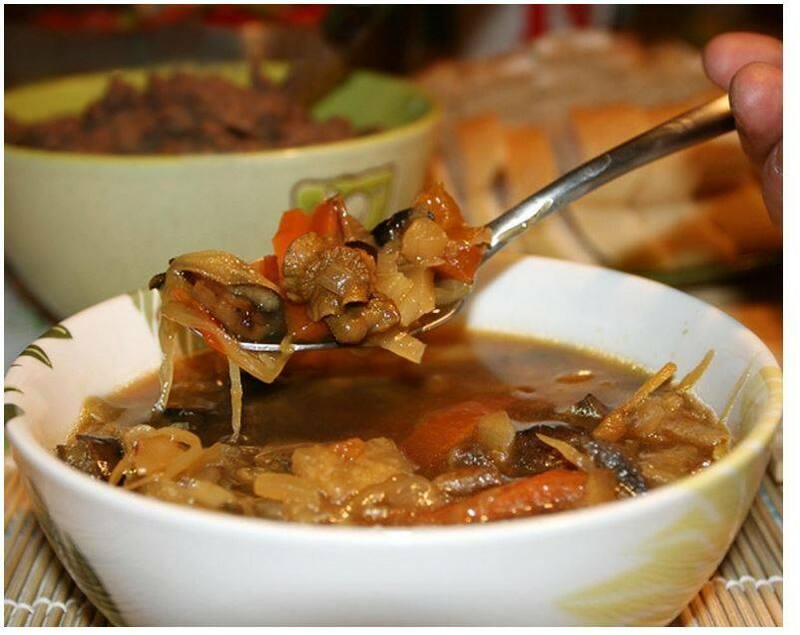 The picture is of a traditional Pohlebka with Buckwheat soup, a Russian recipe consisting of veggies and buckwheat.